CSLB's Enforcement division staff and members of the San Diego Wildfire Task Force quickly went to work after recent fires in the region destroyed or damaged more than 85 homes and other structures. The teams met with residents and circulated information in the burn areas to warn tradespeople that working without a license in a state or federally declared disaster area could result in felony charges and, potentially, state prison time. CSLB then followed up a few weeks later with an undercover sting operation to see if the message to unlicensed operators had gotten through. It apparently had. Ten suspected unlicensed contractors were caught during the sting operation, conducted at a San Marcos home that sustained fire damage. But none of those arrested tried to specifically target wildfire victims, and, as a result, those suspects won't face felony charges for contracting without a license in a disaster area. CSLB is traditionally one of the first agencies to respond during the recovery process when structures are destroyed from fire, floods, earthquakes, or any other natural disaster. As a member of the California Emergency Management Agency's disaster recovery team, CSLB participates at temporary Local Assistance Centers that are set up for affected communities. CSLB staff provides educational information about post-disaster contracting laws to property owners who will be looking for contractors to rebuild their homes and other structures. 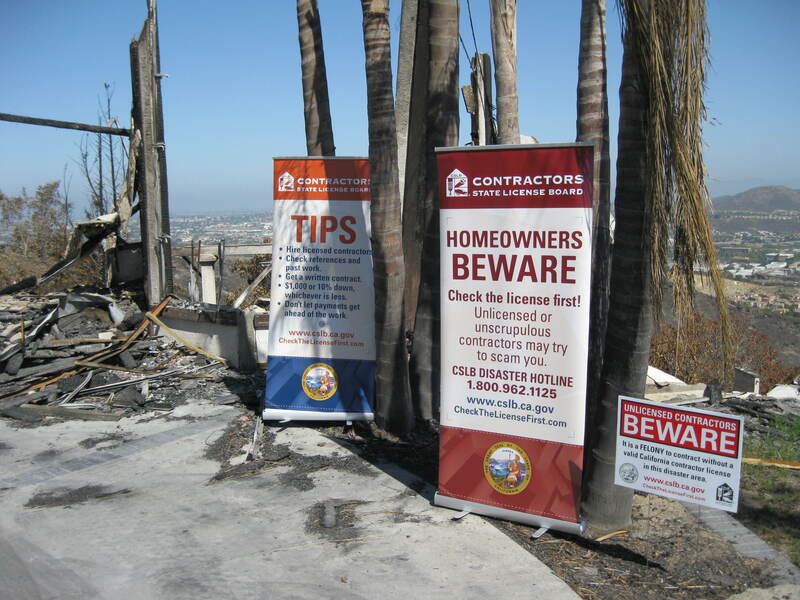 CSLB investigators also sweep disaster areas and post signs to remind consumers to only hire state-licensed contractors. Falls from high elevations continue to be a leading cause of death for construction workers, accounting for 269 of the 775 construction fatalities in 2012, the latest year for which figures are available. These deaths are preventable. 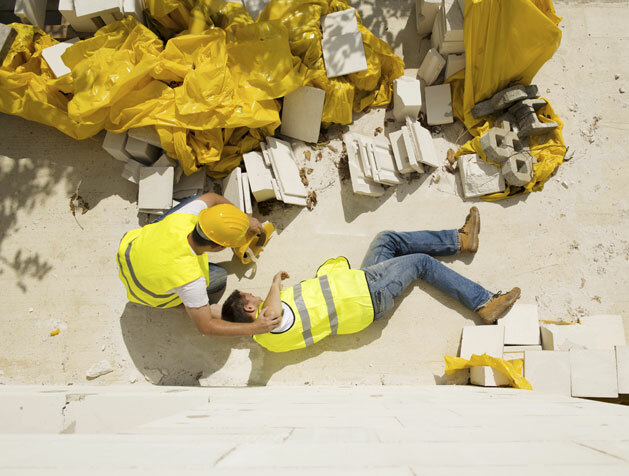 New tailgate training and video materials about fatal worker falls are now available from OSHA's "National Safety Stand-Down to Prevent Falls in Construction" campaign. The materials, in English and Spanish, are produced by the California Fatality Assessment and Control Evaluation (FACE) Program. FACE encourages employers and others to visit a fall prevention topic page and use the program's new tailgate training and video materials as part of their Safety Stand-Down. FACE is part of the California Department of Public Health.